It all started with a diamond signet ring. 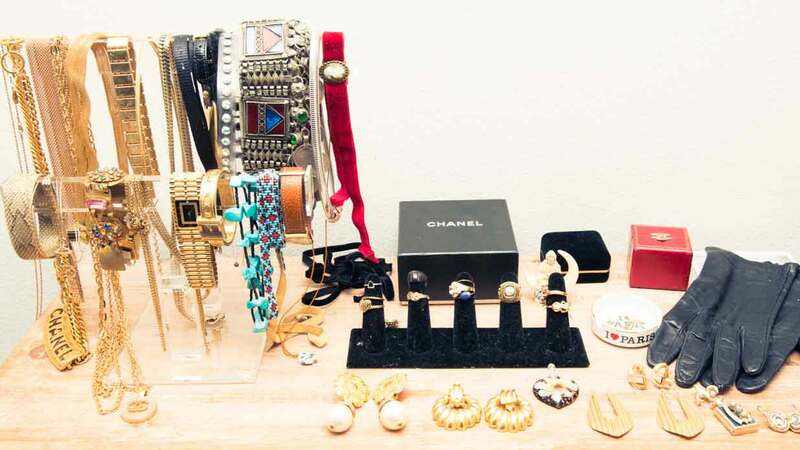 I’ve written on about my love for eBay—for the adrenaline of a bidding war and the consequential endorphins of the win, the effects only heightened when it’s a *deal* (seriously, you’d probably want to chop my hair off in my sleep if you knew how much I paid for my CHANEL bag and Louis Vuitton Epi). But even with my years of “experience” in online auctioning (I’ve also started Estate Sale-ing—mayyybe I’ll write about that soon too), when it comes to buying fine jewelry, I can never pull the proverbial trigger. So yeah, the hesitation mostly stemmed from the frustration that I couldn’t find a ring I loved for the budget I set in my head, but it was also my gut, which told me that gold and diamonds were something I need to touch and feel before throwing down the cash. Because, well, it’s a lot of cash. I’ve dabbled in silver and goldsmithing, so I’m pretty well versed in the cost of materials, which makes buying jewelry in a store excruciating—fun fact: jewelry has a huge markup price. I had arrived at the final frontier...the pawn shop. But before you follow my lead and buy a diamond-and-gold signet ring from the hockshop, read my tips. Like I said, I’m familiar with precious metals, but if you aren’t, I have homework for you: Try some on. Go to a reputable jeweler in your neighborhood, and play; feel the weight of a 14K ring in the palm of your hands, get familiar with the colors of different carats, try on diamonds! Hard work, right? Ask about the prices for the pieces you’re drawn to—remember, there is a huge markup, but it’s good to have a sense of retail value. Before going to the pawn shop, Google. Reviews are a great way to get a sense of a company’s reputation. Also, Google the market price for gold per gram, and keep that in the back of your mind for when you go in. ...Trading. The great thing about gold and precious stones is that they hold their value. Finally get rid of that necklace your ex gave you, and put it towards what you actually want. I saved a couple hundred on my new diamond signet by doing just that! Before I forget, valuable fine jewelry should always—I mean always—come with papers from a gemologist. These papers show you the materials, weights, and appraised value of the item you’re about to purchase. If your pawnshop doesn’t have these available, I would move on to another. At the end of the day, you have to feel comfortable making the purchase. If the dealer is trying to pressure you, get out—there are many amazing pawnshops that would happily take your money.